Healthcare Licensing Services, Inc. specializes in helping physicians apply for medical licensure in the state of South Carolina. We will research your entire professional history from Undergraduate School to date to obtain information such as mailing addresses and contact information for the purpose of verifying your credentials to the South Carolina Medical Board. We are also able to research Medical License numbers, issue dates, and expiration dates. We will assure you professional completion of your South Carolina medical license application, as well as professional completion of all letters and forms necessary to request verification of your credentials for the South Carolina medical board. Your South Carolina Medical License application will be assigned to one file manager in our office who will be your point of contact. You will have continuous access to your file manager during the entire application process. An update on your file will always only be a simple phone call or email away. 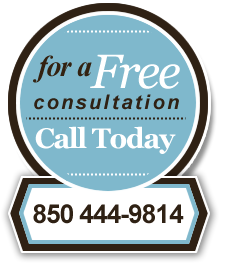 Click here to contact us and learn more about our South Carolina medical license service. South Carolina is a southern state along the Atlantic coast, located between North Carolina and Georgia. It’s known for its natural beauty (including many National Park sites), its hot weather, barbecue, and Low Country cooking. Traditional Low Country dishes include she-crab soup, Country Captain (a curried chicken dish), and Hoppin’ John, which is traditionally served on New Year’s Day to guarantee good luck for the new year. The major cities in South Carolina are Charleston, Columbia (the state capital and the largest city in the state, pop. Approx. 123,000), Greenville, Spartanburg, and Florence.